Online Marketing & Tourism Specialist. Email marketing can be an extremely cost effective way to communicate with your regular customers and drive traffic to your website and social media pages. Despite this I’ve noticed this is an underused marketing tool for tourism businesses, for some this is because they don’t have a strong repeat business base – but for those that do then email marketing should be a key part of your marketing communications strategy. What are the key steps to Get Started? Develop a database. You may have a lot of email addresses of regular customers in your email software so add these into an excel spreadsheet for starters (so you can import them into email marketing software). It’s OK legally to send marketing emails to customers who you already have a relationship, but it might be a good idea to email them first to invite them to subscribe. Have an email subscription option on your website. 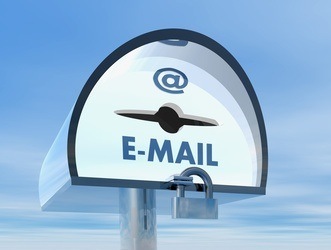 Make it easy for your regular customers to opt in to receiving your emails. Ideally this function is linked to your email marketing software so they are automatically added to your database. “Opt in” email marketing is the most effective in terms of open rates and successful campaigns. Use professional email marketing software. You do not need to purchase or download this software, there are plenty of options that are internet based. Pricing will depend on how big your database is and how often you send out emails, generally it’s quite cost effective and you will find an option to suit your budget. There are also free systems like Mailchimp for smaller databases. Email marketing software provide design templates that you can customise with your own colours and logo, it’s also worth considering have a professionally designed email template that matches your website as a one off cost. The software will also track the open rate and click throughs from your campaign so you can measure it’s success. It will also manage unsubscribes and bounced emails. Establish a regular email marketing schedule. Too often can be annoying so don’t overdo it, once every 1 or 2 months is a good start or just when you have something newsworthy. Keep the content relevant and interesting. Special offers, events, new products and competitions are popular reasons to send out an email, be careful not to make the email too long. Ideally you will provide links to your website for further details and to make a booking. Got any other tips you want to share or email marketing software you prefer? Let us know. Michelle is an experienced marketing manager and consultant with specialties in online marketing, websites and tourism. ← Google Launching into the Online Travel Market? Adept Marketing, Kerikeri New Zealand.